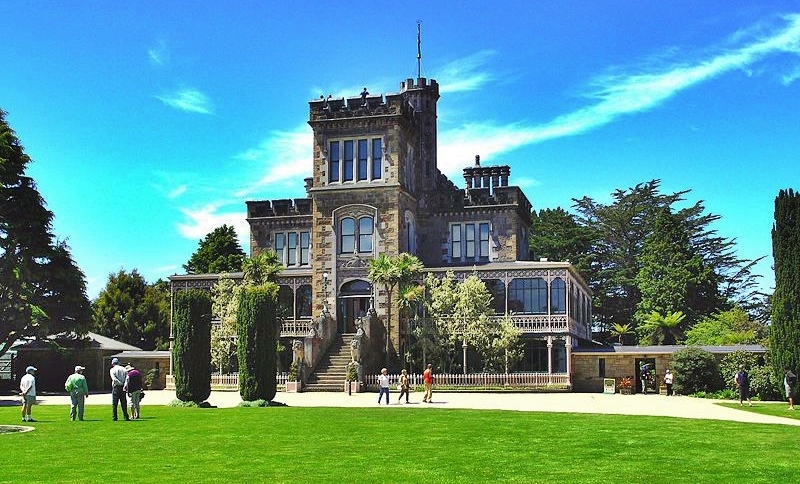 Bottom Bus provide a scheduled coach service and fully guided tour to Larnach Castle twice daily (except Christmas Day). This service leaves the Dunedin Visitor Centre (in the Octagon) at 9am and 3.00pm. Arrangements can be made to be picked up from and returned to your accommodation on request. A full commentary of local landmarks is given on the journey to the Castle. Ghostly presence. Magnificent carved ceilings carved by the best European craftsmen. Breathtaking views from the Tower, 360° Views of Dunedin, Otago Peninsula, Harbour & Pacific Ocean. Antiques, a superb collection of New Zealand antiques, including a unique nine piece totara knot suite. Magnificent Ballroom.